If you’re exploring how to finance a home, mortgage calculators are a great resource. We have all seen our fair share of mortgage calculators over the internet, once you start your search for the perfect home, mortgage calculator ads pop up, and there are many to choose from. But do you know what they are, how they work, or why they could be a beneficial tool for you when it comes to planning your finances? When they are used the right way, mortgage calculators can be a huge asset to potential home buyers who are looking for a better idea of what sort of financing would fit best with their current financial needs as well as their goals for the future. A mortgage calculator is a tool or type of program that can be used by potential borrowers to determine, fairly accurately, the monthly payments that would be associated with different mortgage options. These types of calculators allow for a number of variables to be tested. Borrowers who are using a mortgage calculator have the ability to change the amount of the loan, the term of the loan and the interest rate. These factors are all changed to determine the different monthly payment amounts that are associated with each variation of options. 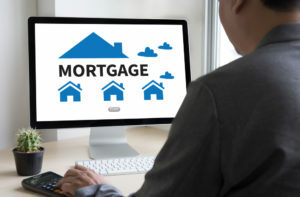 By adjusting these different aspects of the mortgage, borrowers are able to test out different interest rates, which can be useful if they are shopping around between lenders. Mortgage calculators can also be used to test out different lengths for the loan or different financing amounts. Borrowers who are trying to figure out how much to put as a down payment can test out different loan amounts (the actual value of the property, minus varying down payment amounts) to find out which amount is the perfect amount that they can afford and secures them the monthly payment and term they are looking for. Here are five great mortgage calculators to help guide you on your journey to home ownership. Of course, while mortgage calculators are excellent for comparing general differences between mortgage options, they are not humans. It’s very important to understand how a mortgage payment will fit into your budget. And as great as these calculators are, they are only tools to assist you. Please keep in mind that mortgage calculators can’t help you search for better deals, and they won’t walk you through the entire mortgage process. That’s where I come in! I am here to help you save the most as you make some of the most important financial decisions of your life! Call today for more information or to setup your consultation today!